I’ll tell you exactly what we’ve been up to in the last month. I don’t think we’re doing too badly. 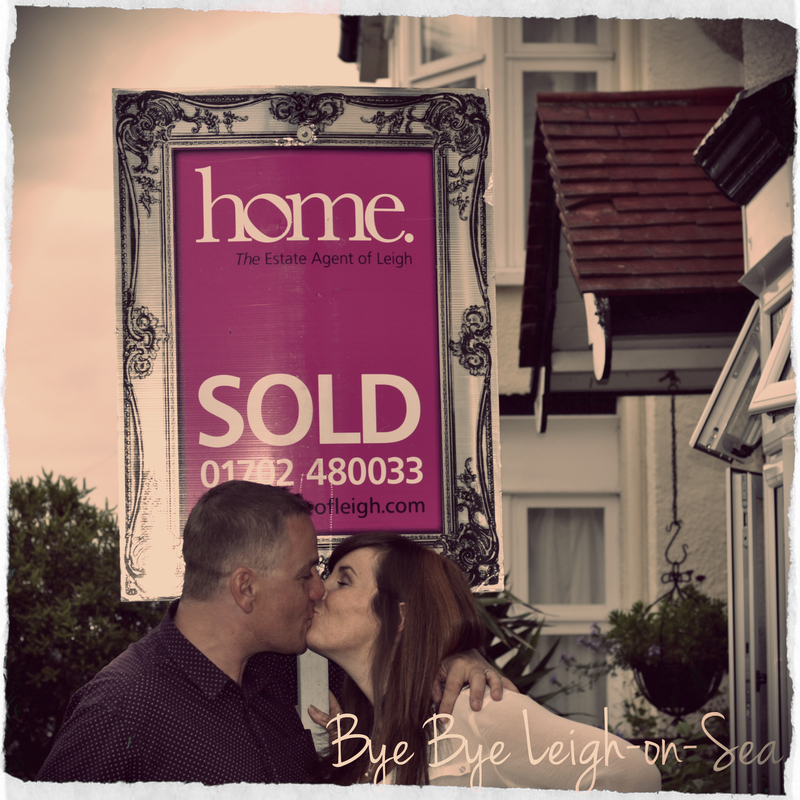 Andy and I took possession of the keys to our new home on August 19 2013 after a 6 hour drive up from Leigh-on-Sea, Essex. The following day, rested after a pleasant nights sleep and slightly dodgy meal at one of Newcastle’s finest Premier Inns, we met the removal truck on the driveway at 7.30am. We used Jeakins Removals (Basildon, Essex). Mainly because they are a friend of the family, but also because they have an impeccable reputation. And we weren’t let down. The boys moved like lightning. They were flying boxes around the house. In and out of the van. And had the whole lot unpacked by 12.30. After stopping for a sarnie they made their way back down the A1 to Essex, leaving Andy and I to deal with the project! Before I knew it, I was only washing up from lunch and the crash, bang, wallop began. In a blink of an eye, two 70s style glass walls had disappeared. I hadn’t even unpacked a suitcase! That’s why I love Andy. He just can’t wait to get stuck in. 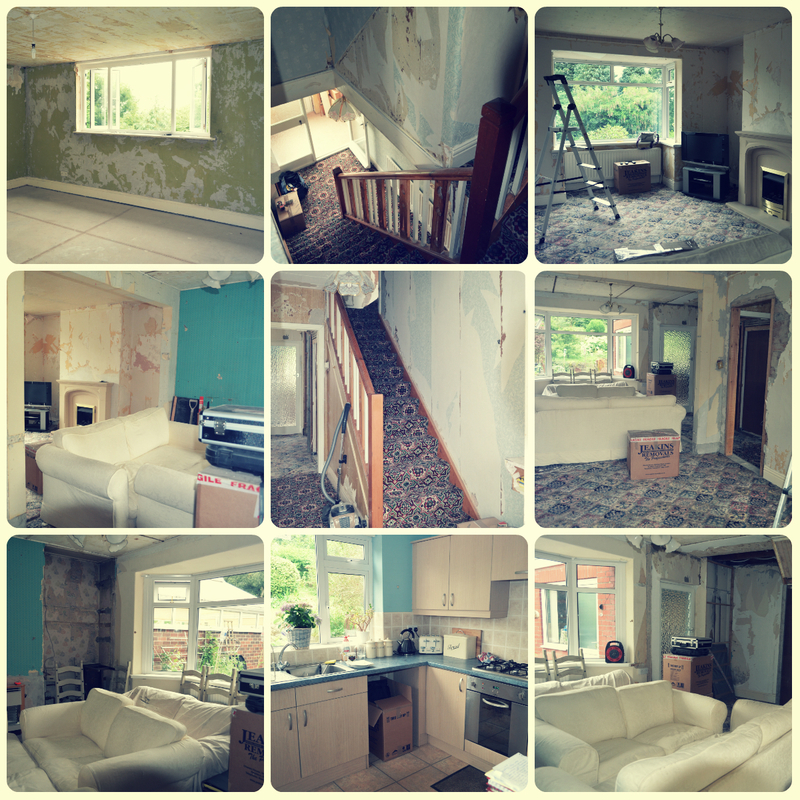 And by the Friday the house looked like this. If you want to see the before, check out one of my previous posts. 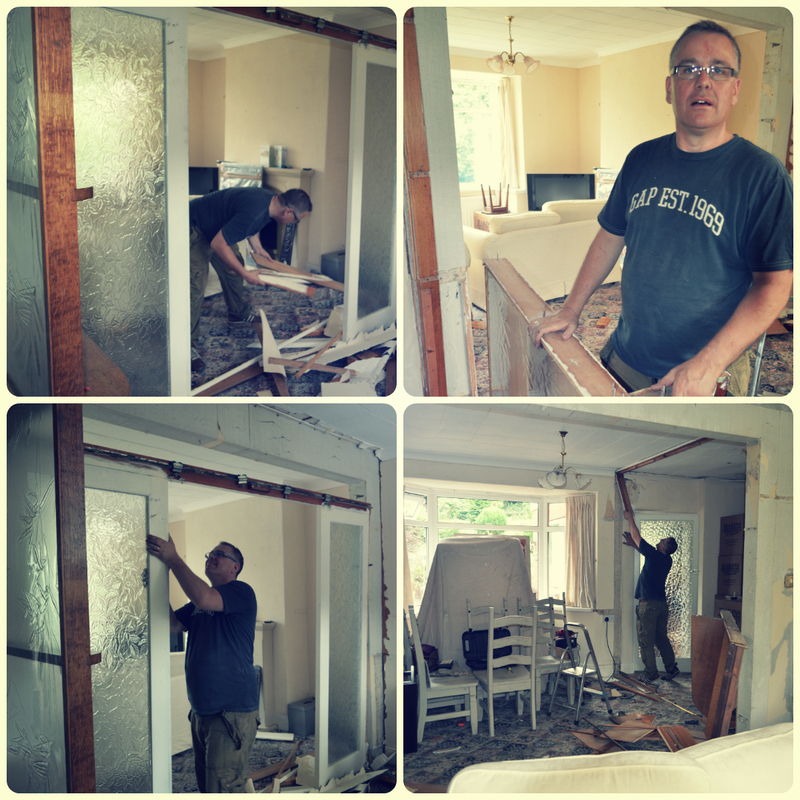 Andy had also started to rip down all of the very dodgy polystyrene tiles (why they were ever in fashion, I’ll never know). 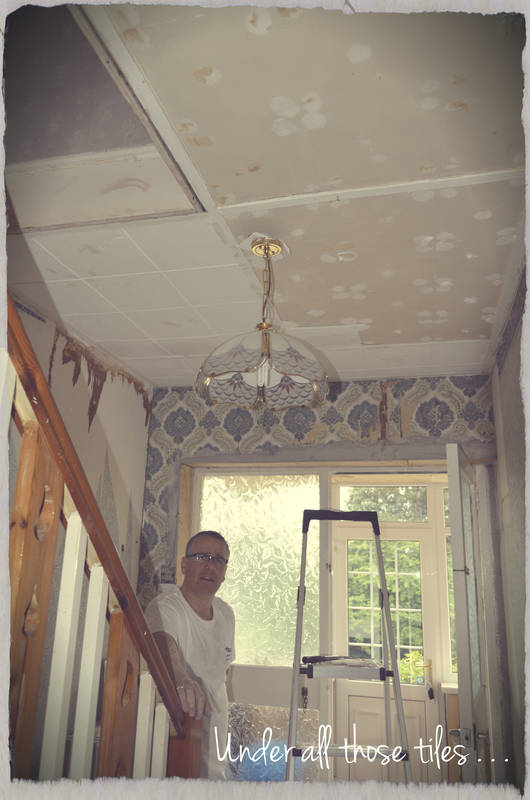 And on the Saturday, he discovered one (thank God) original feature that remained in the house, the original hallway ceiling, which we can restore to its former glory. Gulp! Well, we may have underestimated the complexity of the task at hand. We never expected to have to rewire the entire house as it wasn’t earthed. 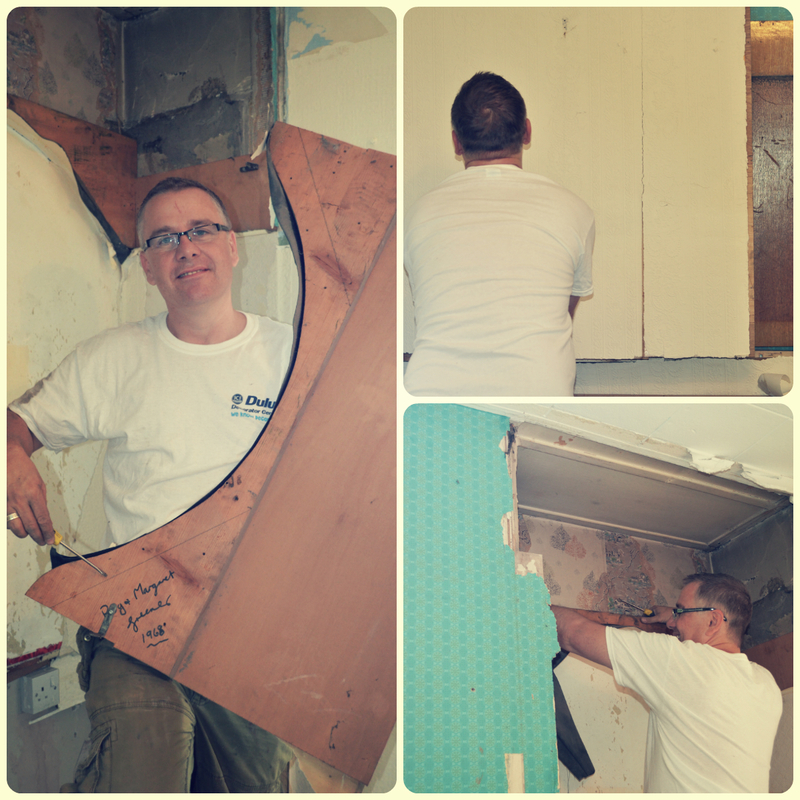 We never expected to have to re-plumb the whole house in order to benefit from a new combi boiler. We never expected the quote for the extension and other building works to be almost DOUBLE what we had budgeted. And I’d like to say we were naïve. But I don’t think we were. I think there was just a lot that we had to keep adding to “the list”. Alas. There was no turning back now. We had a number of meetings with the architect to tweak the designs, although it was only minor amends as the architects (Tom and James) were pretty spot on with our requirements from the beginning. And then we had to get the builders confirmed. We had received two quotes. One from a builder recommended by the architect. One from a builder I found on MyBuilder.com. We chose the builder, of course based on the quote itself, although there was hardly anything in it money wise, but mostly on rapport. Our chosen builder was Grange Builders, based in North Shields. And a month on we cannot express how happy we are with our decision. They are certainly not cowboys. They’re brilliant. They’re tidy (as tidy as builders can be). They’re courteous. They’re happy to advise. Easy to talk to. And genuinely nice chaps. 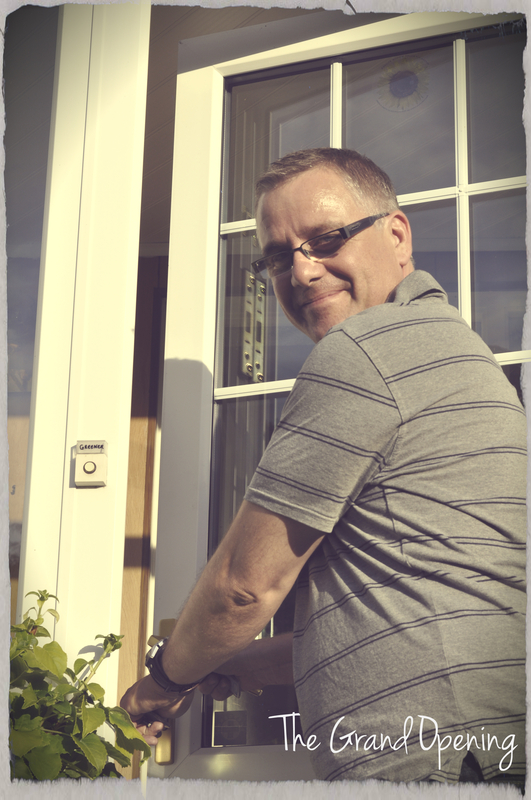 If you’re in the Newcastle area and considering any building work, give Paul at Grange Builders a call. But don’t go to MyBuilder.com. I’ll tell you more about that another time! 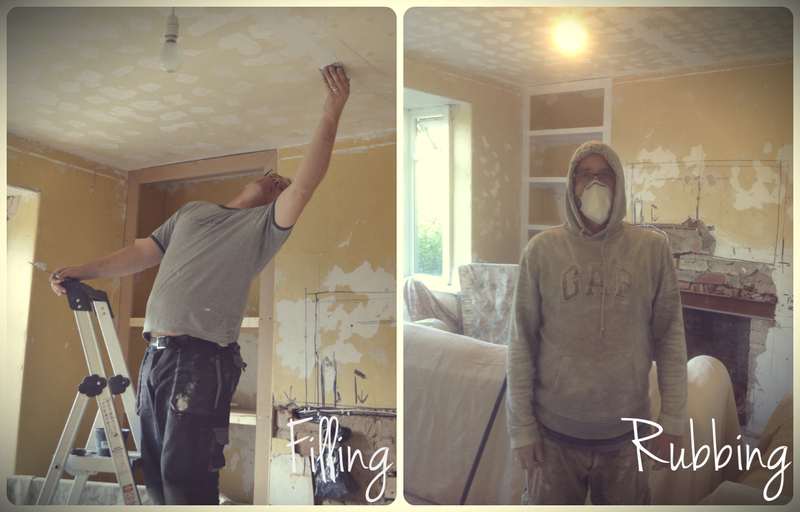 In the meantime, whilst we wait for the builders to start, Andy cracked on with prepping the whole house ready for the decorating. Wallpaper (so much wallpaper) was stripped. Holes filled. Polystyrene tiles removed. Carpets ripped up. Amazing really. It just didn’t look like the same house anymore. It looked like a building site. To add to the mayhem, the sparkies started. And oh my days did they make a lot of mess. And on a “wifey” note, I started batch cooking in preparation for the loss of kitchen. So the freezer is stocked with copious amounts of chicken chasseur, chilli con carne, bolognese and steak and ale stew! Nice. No dodgy microwave meals for us. And we’re away. Before we know it, foundations are dug and walls are popping up. 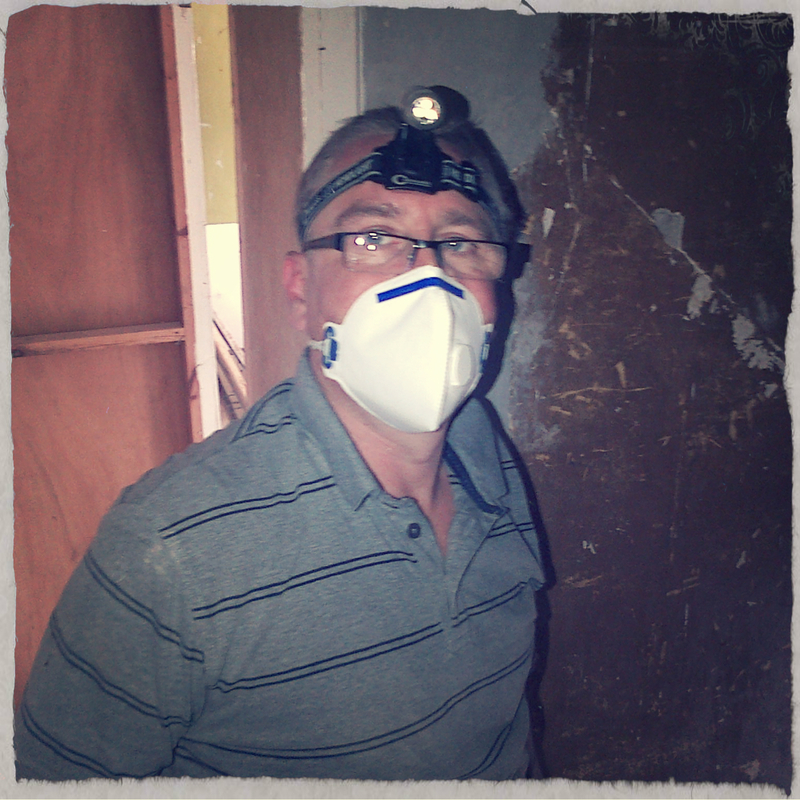 Andy had to venture into the loft to fit the new antenna amplifier (we like our telly) and this was his outfit. A cross between a miner and a martian! Andy by the end of the week, our new family room had new walls and new foundations, and a rather lovely tarpaulin roof, which desperately wanted to fly away during some rather heavy winds. With plumbers still to plumb. Electricians still to spark. And plasterers still to plaster. Andy found himself in a constant state of limbo. Only able to do odds and ends. He’s dying to get cracking. To really finish the decorating. To get just one room done. but he can’t. 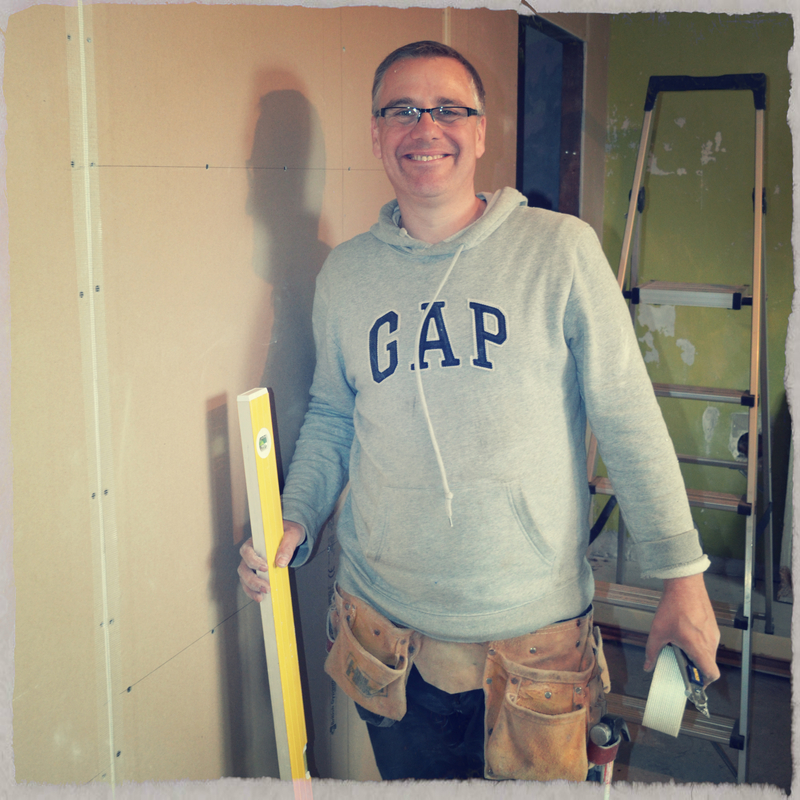 But he still manage to smile as his finished plaster-boarding out our future bedroom and showing off his big level! 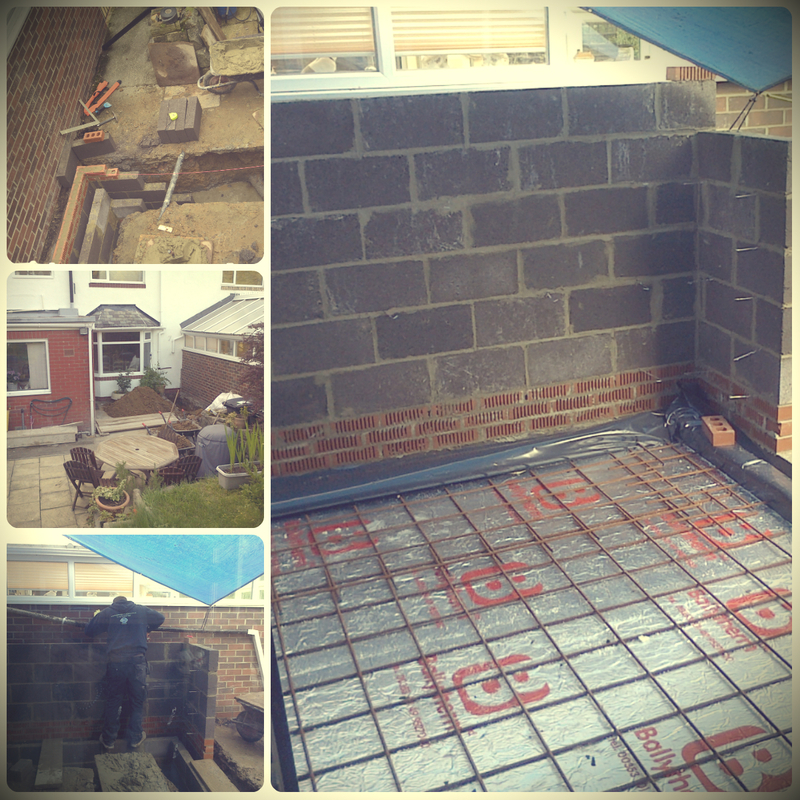 Meanwhile the Grange Builder boys finished the extension walls and lay the concrete foundations. The work was coming on nicely. Above, Andy practices his ballet moves on a step ladder, before preparing to go to a dusty rave. The Grand Builders meanwhile removed our roof! 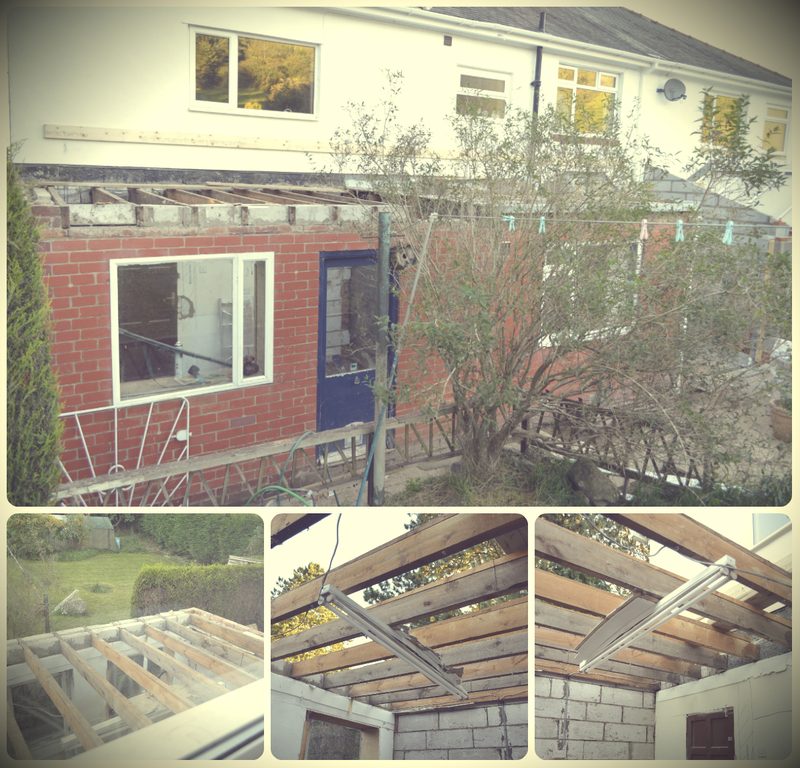 The 1970s flat roof is to be replaced by a lovely pitched roof, complete with slate tiles and 3 x velux windows. It will be much more airy and the roof won’t need as much maintenance. 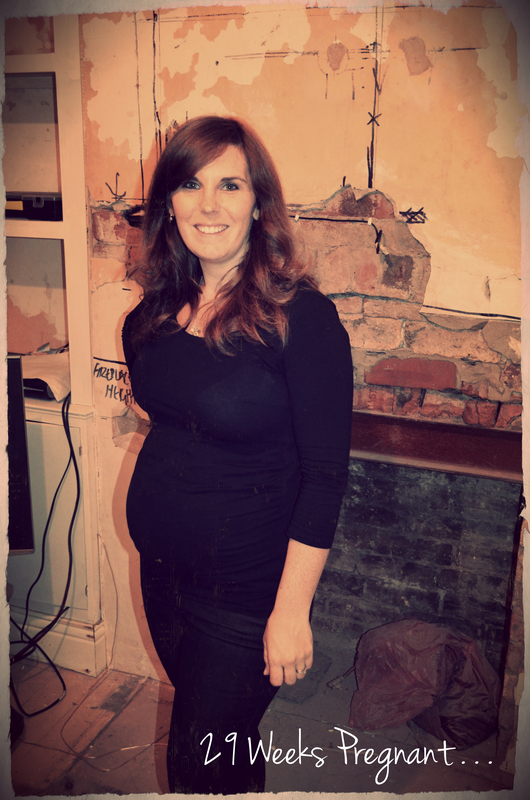 And whilst all that was going on, I entered my third trimester. Unbelievable really that in a couple of months this building site will be a home and the population will have risen by one. That’s when my hard work really starts! Love this. You are s great writer!